The Midgard Campaign Setting fan community is growing faster than an ill-advised alchemy experiment in Maillon! It’s an active, vibrant community, full of people who want to take what we’ve created and run with it in exciting and fun directions. So we thought, why not make it easier for them? 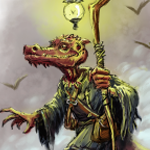 To encourage fan sites and free fan-created projects using Midgard and other Kobold Press IP, we’ve just launched the Kobold Press Community Use Policy. This policy covers free, fan-created material only; if you want to do a commercial project, check out our Freelancer Guidelines. 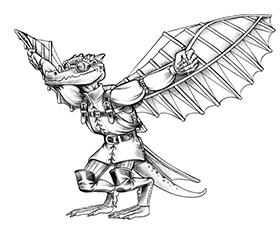 Along with guidelines on what fans can use and how, we’re also offering the first Kobold Press Community Use Package of resources. This first package contains 10 of the Midgard setting’s most iconic characters — and we’ll be adding new packages over time. Tell us what you think in the comments! And if you have a Midgard fan project underway, or if this inspires you to start one, please let us know. We’d love to see it. This is a wonderful addition to the Midgard experience. I don’t recall seeing a gnome among the iconics, but hey, perhaps that is something a contributor could fix. ;) anyway, this is agreat move to bolster the fan community. I think adding a gnome is a fine idea. There are two or three Community projects already underway, one of which will be uploaded to the Store soon. Purely an oversight, in that particular instance.